Far too often when we are dealing with back pain, we turn immediately to medication (both prescribed and unprescribed) to help relieve the symptoms. While medication certainly has its place in pain relief when used in the correct context, it is typically used as a first line of defense as opposed to a last resort. Typically, people turn to NSAIDs (nonsteroidal anti-inflammatory drugs) pain relievers like Ibuprofen, naproxen, Motrin and Advil whenever they feel the first twinges of pain. While these medicines aren’t inherently bad, they can have some pretty major side effects if used in excess or incorrectly. 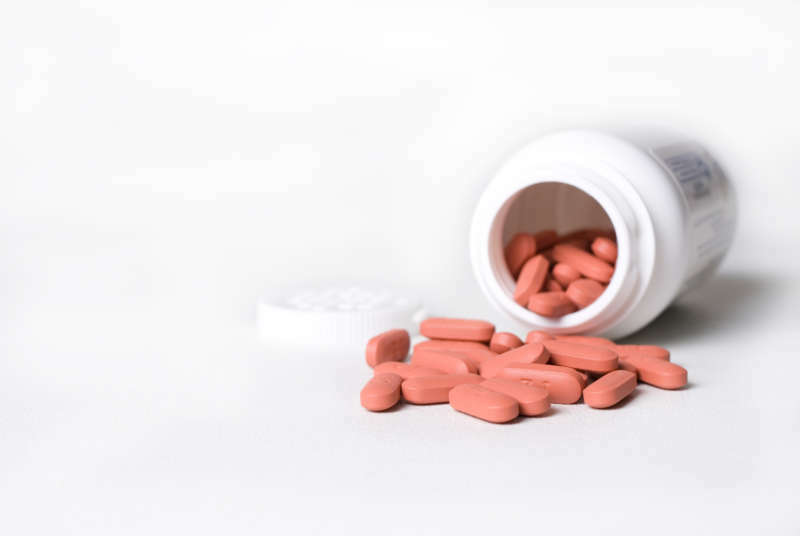 The most common, harmful side effect of taking too many NSAIDs is damage or ulcers within the gastrointestinal system; this can include the small intestine, stomach and esophagus. While many ulcers never produce any symptoms, some can become aggravated to the point where they begin to bleed, which is a very serious problem. Additionally, NSAIDs have been shown to inhibit the production of prostaglandins, which are the lipids that typically appear in areas of inflammation and are believed to be responsible for dealing with injuries and illnesses by controlling inflammation and blood flow.2 This can be a problem because prostaglandins help dilate the blood flowing into the kidneys and, if that process is inhibited, it can lead to ischemia (inadequate blood flow to a vital organ). These dangerous conditions rarely occur in people who take NSAIDs every now and then to combat inflammation or pain. However, people who take them every day or on a regular basis should be aware of the potentially harmful side effects. If you are taking NSAIDs more often than you should, particularly for back pain, consider an alternative, medication-free treatment. Below are a number of ways that can be effective in managing back pain, without the need for medication. However, before we begin, it’s important for us to note that frequent or daily back pain is not normal. If this is something that you’re experiencing, your first step should be to contact a spine specialist, not pop more NSAIDs and muddle through your day. Spine and disc injury is rarely the cause of back pain, though it may often feel like it. In reality, the majority of back pain is caused by inflammation or unnecessary strain placed on the joints and muscles surrounding the spine. Depending on the type of pain you’re experiencing, you can help address your pain by applying hot or cold therapy. It’s important to note that ice and heat are used to treat different types of injuries and pain. Research has found that icing tight or pulled muscles can exacerbate the pain and heating a fresh injury can cause additional swelling and inflammation, so be sure you know the difference before you start treatment. Almost all back pain is a result of tight, pulled or knotted muscles that support the spine. When these muscles tighten or are strained, it can cause significant amounts of pain that feel like they’re emanating from the back. Heat therapy is almost always the best option for addressing back pain because it serves as a muscle relaxant and stimulates healing blood flow to tight, pulled or knotted muscles. To have any meaningful effect with heat therapy, however, you must first find the muscles in the back that are tight. You (or someone else) can typically do this by running your fingers up, down and around your spine, feeling for any bulges or areas of pain. Once you’ve found the affected area, you can apply heat in either local or systemic fashion to help encourage blood flow to that area. Local heat therapy involves specifically heating up one area of the body using a warm water bottle, a heating pad or a heated gel pack onto the affected muscle. Depending on the severity of your strain, you can leave the heat on for 20-30 minutes (minor strain) to 30 minutes - 2 hours (severe strain). Note: Any heat you apply locally should not be hot enough to burn your skin. Systemic heat therapy involves raising the temperature of the entire body systemically. Typically this is done through spending time in a jacuzzi, steam bath or hot shower. Cold therapy should be used only in situations where you have a fresh injury to your spine or the surrounding muscles. Ice is primarily used as a way to help deal with pain, not treat it, and is particularly effective when the injury is fresh; much like typical NSAID pain relievers. So what constitutes a “fresh injury”? A fresh injury is defined by Paul Ingraham as one that is inflamed, swollen, hot and red, bruised or sensitive to the touch.3 In these cases you should apply an ice pack to the affected area of your spine for no more than 20 minutes. Note: Ice should never be applied directly to your skin. If you don’t have a covered ice pack, place a towel or rag between the ice and your skin. Additionally, studies have shown that ice can be applied to areas throughout the body that experience occasional inflammation. As was mentioned before, ice doesn’t play much of a role in promoting healing, but it is an incredible pain reliever, especially for inflammation because it restricts blood flow pain and, thus, can help lower inflammation. It’s important to note, however, that it hasn’t shown much benefit for people who are experiencing chronic inflammation, apart from temporary pain relief. Your hamstring muscles run down the back of both your legs and are connected to your pelvis. If either, or both, of these muscles are tight, they can put strain on the pelvis and limit its motion. This, in turn, can increase the amount of pressure placed on the lower back and keep you from a correct posture, causing pain. If you have tight hamstring muscles, make it a daily habit to stretch them throughout day. Over time, this will lengthen the muscles and help relieve some of the pressure placed on your lower back. A quick and easy way to stretch the muscles is to bend forward at the waist, reaching for your toes. Your knees should be about shoulder-width apart and should only bend slightly as you lean down. Stop when you start feeling the muscles in the back of your legs stretching and hold for a couple of seconds. Then stand up, give yourself a few seconds to recover and bend down again. You can do this as much as you feel is necessary. Keep in mind that if you don’t actively stretch, your hamstrings are likely going to be tight and it’s unlikely that you’ll actually be able to touch your toes; that’s okay, you’ll become more flexible over time. When you’re just starting out, don’t force your muscles to do more than they’re capable of because you’ll be setting yourself up for painful injuries. Research has shown that there is a link between sleep deprivation and the amount of pain a person feels. So the obvious answer to helping fight back pain is to get your recommended amount of sleep each night. However many people find themselves stuck in an endless circle of pain: their back keeps them from sleeping at night which, in turn, causes them to feel more pain throughout the day which then causes them not to be able to sleep at night and so on. If this sounds like you, you’re better off finding a proper sleeping position that suits you and allows you to sleep throughout the night rather than popping NSAIDs before you go to bed. Pills may block the pain for a few hours, but once they wear off you’ll find yourself waking up throughout the night, tossing and turning or simply waking up the next day more tired than you were the night before. Sleep on your side with a pillow between your knees and your feet on top of each other. Sleep on your back with a pillow underneath your knees. Many people who experience back pain tend to avoid exercise because it can exasperate their symptoms. While this can be true for certain forms of exercise or spinal issues, there are very few cases in which back pain keeps people from exercising entirely. More often than not, the challenge is simply finding out what is right for you and your pain. The reason so many experts recommend that that people with back pain exercise is because of the numerous benefits it has on your spinal structure and the surrounding tissues. For one, exercise promotes the transfer of fluids between discs which provides them with the nutrition they need to stay healthy. Additionally, it helps stretch and strengthen the muscles and tendons surrounding your spine which increases support and helps decrease painful inflammation. As with much else in medicine, there is no one-size-fits-all formula when it comes to exercising. Some people are able to go on daily runs or walks while others can find relief simply by stretching out their spines through activities like yoga. Try a variety of low-impact exercises (activities that don’t put much pressure or pounding on the spine) and see what works best for treating your pain. A few of our favorite exercises are walking, swimming and biking. It’s also important to note that consistency is key with exercise. The more you do it, the stronger you’ll become and the more benefits you’ll reap. This being the case, you should try to find an activity that you’ll genuinely enjoy doing for the weeks, months and years to come. While there is no problem with drinking alcohol in moderation, it can have painful effects for people who are dealing with consistent back pain. Alcohol is a relaxant. As we’ve mentioned before, your spine gets much of its support from the muscles and tendons surrounding it and if these muscles are damaged, too tight or too loose it can cause pain. Drinking alcohol relaxes the muscles throughout the body which can, in turn, cause your spine to lose support until the effects wear off. Alcohol is a depressant. A depressant is something that has the tendency to depress or slow down the body’s natural processes like circulation, respiration, heart rate and more. However, many of these functions, particularly circulation, are absolutely critical to flushing out toxins that can build up in the spine and bringing key nutrients to spinal structures. Thus, when you drink alcohol you are slowing down the process of healing and potentially setting yourself up for inflammation, collapsing discs and back pain. The food you eat has a direct impact on the amount of inflammation that occurs throughout your body. Most physicians agree that, if you’re looking to fight back pain, you should avoid eating most processed foods including white bread, pasta, sugary drinks, chips, pastries and fast food. Instead, try to fill your diet with natural and organic ingredients. A good rule of thumb is to aim for deeply colored fruits and vegetables like carrots, sweet potatoes, cherries, watermelon, grapes and more. The pigment that makes up the color in these items is key to fighting inflammation. Additionally nuts, lean proteins (like chicken and turkey), spices (like garlic, basil, cinnamon, ginger, rosemary, curcumin, onions, oregano, and turmeric), many types of fish and tea can all have an impact in fighting inflammation. Not only will eating healthy help you ward off back pain without the need for medication, but it will also have other great impacts on your health in general. If you struggle with chronic back pain, one of the best things you can do to help your condition is to find an outlet or activity that you enjoy and keeps your mind off the pain you're experiencing. Studies show that focusing on your pain makes it feel worse. So, while finding a fun activity won’t rid you of your pain, it can to distract you from it and allow you to take back control of your life. In the end, there are many ways to combat back pain without first resorting to the use of NSAIDs—you just have to know where to look and find out what specifically works for you. If none of the solutions presented above have any impact on your back pain, set up an appointment with your spinal specialist. Not only will they be able to diagnose exactly what’s going on, but they’ll also be able to give you practical advice on how you can address it that is specifically tailored to your condition. 2. Ricciotti, E., & FitzGerald, G. A. (2011). Prostaglandins and inflammation. Arteriosclerosis, thrombosis, and vascular biology, 31(5), 986-1000.